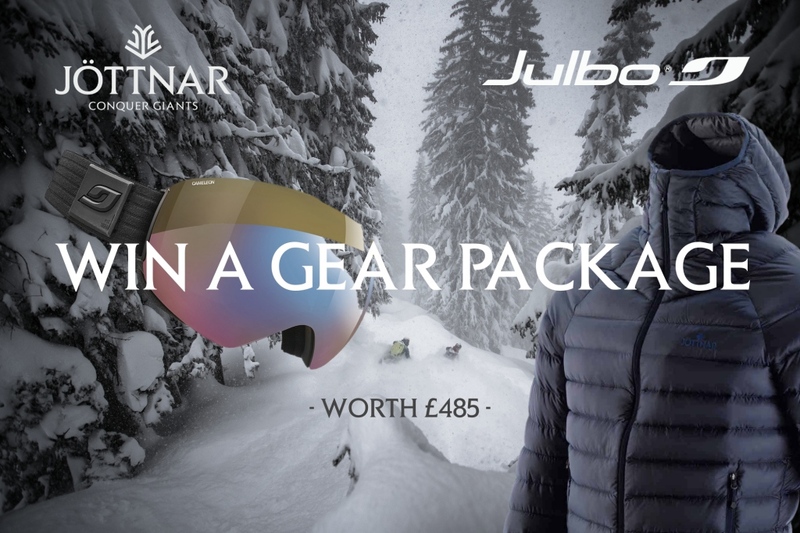 We’ve teamed up with Alpine eyewear brand, Julbo, to offer you a package worth £485. To be won is clothing from Jöttnar and eyewear from Julbo. Julbo is an independent French eyewear brand with a hundred-plus year history in the manufacture of glasses and goggles for mountain sports. Jöttnar is a young British brand that produces premium technical clothing for climbing, skiing and adventure. - Jöttnar Fenrir down jacket, worth £295. Light and packable but without compromising on features, the Fenrir is stuffed with 850 Fill Power goose down, in a premium 93/7 down/feather ratio. It's water-repellent down stays dry 10x longer than untreated down. - Julbo Skydome goggle, worth £190. With an oversize panoramic lens, frameless construction to eliminate any visual distractions in the line of sight, featherweight spec (135g) and photo-chromatic lens technology, the Skydome is the ultimate backcountry freeride goggle. By entering the competition you agree to receive email marketing information from Jöttnar and Julbo. Competition closes 3pm (GMT) on 21st March 2019.